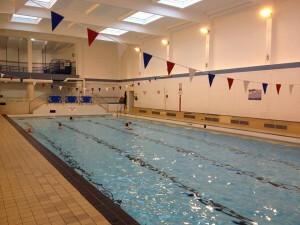 Dingwall Leisure Centre has a traditional 25m swimming pool with 4 lanes. 1 metre at the shallow end to 2 metres at its deepest point. There is also a toddler pool, spa, steam room and fast, flowing 40 metre flume.